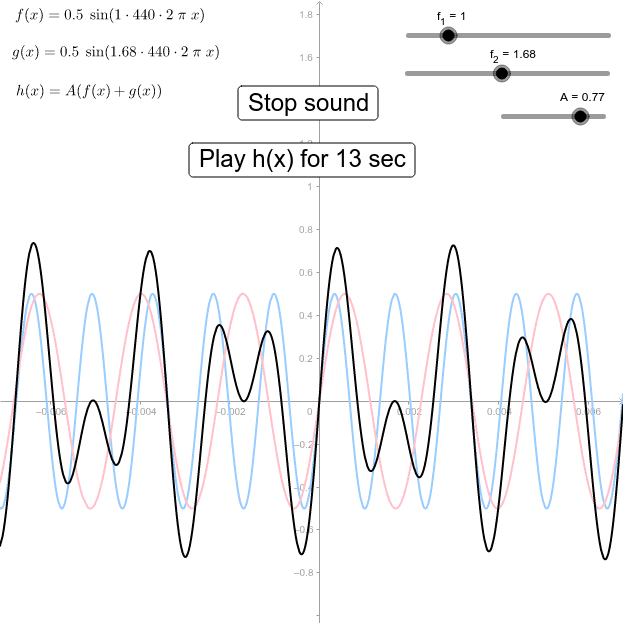 Listen to the sine wave for various frequencie. Change the volume A. This demo only works if downloaded as ggb-file.